AWS Competencies are granted to APN Partners who have demonstrated technical proficiency and proven customer success in specialized solution areas. The AWS Competency Program is designed to highlight APN Partners who have demonstrated technical proficiency and proven customer success in specialized solution areas. Attaining an AWS Competency allows partners to differentiate themselves to customers by showcasing expertise in a specific solution area. Learn more about current AWS Competencies, benefits, and how to get started below. AWS Government Competency Partners provide solutions to—and/or have deep experience working with—government customers to deliver mission-critical workloads and applications on AWS. AWS Education Competency Partners have demonstrated industry expertise and solutions aligning with AWS architectural best practices for teaching and learning, administration, and academic research efforts in education. AWS Nonprofit Competency Partners have demonstrated success by providing end-to-end resources to scale mission impact and drive social change. AWS Healthcare Competency Partners have demonstrated success in building solutions to help healthcare providers and payers securely store, process, transmit, and analyze clinical information. AWS Life Sciences Competency Partners help conduct drug discovery, research & develop novel genetic-based treatments, manage clinical trials, engage in biopharma manufacturing & distribution activities. AWS Financial Services Competency Partners have demonstrated industry expertise, readily implemented solutions that align with AWS architectural best practices, and have staff with AWS-certifications. AWS Digital Customer Experience Competency Partners have demonstrated technical capabilities and success in all phases of the digital customer acquisition and rentention lifecycle. AWS Digital Media Competency Partners have demonstrated success in helping Media and Entertainment companies by delivering solutions that assist in the creation, management, and distribution of digital content. AWS Industrial Software Competency Partners provide solutions targeting one or more of the primary steps in discrete manufacturing or process industries: Product Design, Production Design, Productions/Operations. AWS IoT Competency Partners have demonstrated success in building products and solutions on AWS to support customers in multiple areas, including: intelligent factories, smart cities, energy, automotive, transportation, and healthcare. AWS Mobile Competency Partners provide solutions to support developers or have deep experience working with developers, mobile-first businesses to help build, test, analyze and monitor their mobile apps on AWS. AWS Migration Competency Partners provide solutions or have deep experience helping businesses move successfully to AWS, through all phases of complex migration projects, discovery, planning, migration and operations. AWS Storage Competency Partners have demonstrated success helping customers evaluate and use the techniques and technologies of effectively storing data in the AWS Cloud. AWS DevOps Competency Partners provide solutions to, or have deep experience working with businesses to help them implement continuous integration and continuous delivery practices or helping them automate infrastructure provisioning and management with configuration management tools on AWS. Security Competency Partners have demonstrated success in building products and solutions on AWS to support customers in multiple areas, including: infrastructure security, policy management, identity management, security monitoring, vulnerability management, and data protection. AWS Data and Analytics Competency Partners have demonstrated success helping customers evaluate and use the tools, techniques, and technologies of working with data productively, at any scale. AWS Machine Learning Competency Partners provide solutions that help organizations solve their data challenges, enable machine learning and data science workflows or offer SaaS based capabilities that enhance end applications with machine intelligence. AWS Networking Competency Partners have validated technical capabilities and demonstrated success in helping customers adopt, develop and deploy applications on AWS. AWS Cloud Management Tools Competency Partners help customers identify solutions that enable their cloud strategy by delivering operations and governance best practices. 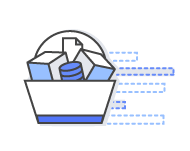 AWS Container Competency Partners have products/solutions that integrate with AWS services in a way that improves the customer's ability to run workloads on containers on AWS. AWS Microsoft Workloads Competency Partners have validated technical capabilities and demonstrated success in helping customers migrate, manage or deploy Microsoft Workloads to AWS. 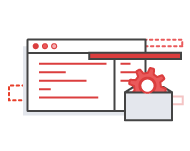 AWS Oracle Competency Partners have demonstrated success helping customers architect, deploy, and manage Oracle based workloads running on the AWS Cloud. AWS SAP Competency Partners have demonstrated success helping customers implement, migrate, and manage SAP applications on the AWS Cloud. Partners can qualify for one or more AWS Competency by having a strong overall AWS practice, showcasing customer success, and demonstrating technical readiness within the Competency. Learn more about AWS Competencies. In order to apply for AWS Competencies, partners must meet program requirements listed in the Validation Checklists before. Follow the steps below to ensure your firm's Partner Scorecard is up-to-date. In order to apply for AWS Competencies, partners must meet APN tier requirements before applying for the Competencies listed above. Follow the steps below to ensure your firm's Partner Scorecard is up-to-date and to apply for your APN Upgrade. AWS Support (Business Level): To sign up for AWS Support, click here. AWS Certifications: Learn more and schedule your exam here. *All APN Partners have access to the APN Portal. If you're already an APN Partner and don't have an APN Portal login, please self-register here. Review AWS Competencies: Decide which AWS Competency best fits your company’s area of focus. Review Competencies by Industry, Solution, and workloads above. Download Validation Checklist: Once you’ve decided on which AWS Competency to apply for, download the Competency Validation Checklists (included above) and review requirements. Before applying for an AWS Competency, please make sure your firm meets all requirements listed on the Validation Checklist for the Competency. AWS Customer References: AWS Competencies require 4 AWS Customer References specific to the Competency. When you go to apply for the AWS Competency, you will be expected to submit Customer References and project details at that time. For required public AWS Customer References, you will need to submit a public case study, whitepaper, or blog post that details your work on AWS with the customer. As part of the Competency Application, you will be requested to provide details about your solutions and customer deployments related to the Competency.